It’s time the African Union made radical changes to how it responds to gross human rights violations. 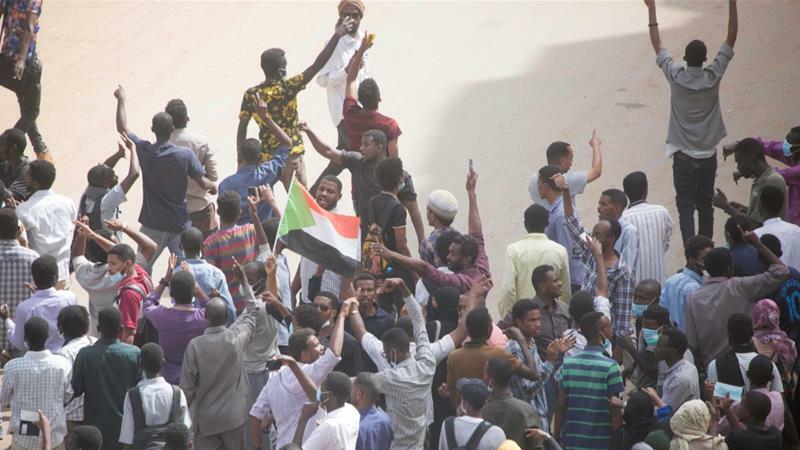 As African heads of state and government gather in Addis Ababa this weekend for the 32nd Summit of the African Union, Sudan is deep in its second month of protests sparked by a steep rise in the cost of living. Security forces have killed more than 45 people and caused serious injuries to many more, even firing live bullets and tear gas into a hospital while pursuing injured people. In Zimbabwe, a sharp rise in the cost of fuel, with consequences for the cost of living, has also spawned widespread protests. In response, security forces have unleashed a deadly onslaught, killing 12 people and arbitrarily arresting over 600. Reports also indicate that many women were raped in the crackdown and many people were left with debilitating injuries. Most of those arrested are denied their fair trial rights in courts, including through arbitrary denial of bail. The internet was also shut down in the wake of the protests, in an apparent attempt to prevent people from supporting or organizing peaceful assemblies. In the Democratic Republic of Congo, the just-concluded general election was characterized by palpable tension and pockets of deadly violence, resulting in more than 20,000 people fleeing the country into neighbouring Congo-Brazzaville and Uganda. A UN investigation found 59 mass graves and the killing of over 500 civilians in Yumbi in the western part of the country. In the wake of the elections, the government closed many media outlets and mounted a crackdown on internet and mobile messaging. In the face of these gross human rights violations, the response from regional bodies, including the African Union (AU) and Southern African Development Community (SADC), has been marked by discordance, delayed reaction or deafening silence. There has not been a single reaction condemning or calling for an end to the ongoing gross and widespread human rights violations in Zimbabwe, neither from the AU nor from SADC. It is not much different on Sudan. The last and onlystatement of concern issued by the AU Commission Chairperson (on 30 December 2018) was soft and lacklustre. Instead of condemning ongoing egregious violations, the Chairperson confined himself to merely calling for “restraint” on all sides. He opted to remind Sudanese political leaders of their “collective responsibility” to find peaceful solutions, effectively preaching peace without unmasking the system that perpetrates violence. On the DRC, the AU and SADC reactions to the post-election contestation were marred with confusion, contradictions and discordance, undermining their own legitimacy and risking an escalation of the political tension and possible violence. But they had one common feature, they made no comment whatsoever on the media restrictions, peaceful protests and internet shutdowns which amounted to an arbitrary denial of citizens’ rights to freedom of expression and assembly at a time when these were most needed. As is custom, the AU Summit is expected to assess the state of peace and security in Africa. The latest three crisis situations on the continent – DRC, Sudan and Zimbabwe – and the long-standing ones in the Central African Republic (CAR), the Sahel and Lake Chad basin region, South Sudan and Somalia are expected to be on the agenda. Africans, especially those affected by brutal crackdowns by their governments, are watching and wondering whether the AU will continue with business as usual or truly address these crises. Based on past evidence, there is little reason for optimism. Despite commitments, obligations and progress in establishing structures and mechanisms such as the Peace and Security Council (PSC) and Continental Early Warning Systems (CEWS), the AU remains invested in treating symptoms of conflicts and violence as opposed to addressing the real underlying causes behind them – persistent human rights violations and perpetual cycles of impunity. Examples are many. From CAR and South Sudan, to northeastern Nigeria and Cameroon, the AU and regional bodies have either failed to act or dawdled until the situation reached a tipping point. Even when the AU has shown concern for human rights abuses, it has repeatedly failed to tackle the issues head-on, lacking the courage and political will to drive change. For instance, in 2015, the AU was presented with overwhelming evidence of gross human rights violations being committed in Burundi, where President Pierre Nkurunziza was unleashing a brutal crackdown on human rights in his bid for a controversial third term in office. The AU expressed the intention to decisively stop the abuses, only to backtrack before it could take any concrete action. Through the East African Community (EAC), it chose the path of mediation, a process that has completely ignored accountability for the gross human rights violations committed in the country since 2015. In South Sudan, there is the long overdue promise yet to be realized. It is now more than three years since the signing of the original peace agreement for South Sudan, which provided for the creation of a Hybrid Court for South Sudan (HCSS) by the AU. Despite successive peace agreements, the violence continues. Millions of civilians in South Sudan continue to be killed, displaced and subjected to sexual violence with no justice in sight. Preaching peace is not enough. It is time the AU made radical changes to how it responds to gross human rights violations and crimes committed in conflict situations. Through its actions and words, the AU needs to be seen as standing on the side of people fighting for justice and their freedoms – not the other way around. For talking peace without ensuring justice and respect for human rights risks evolving into advocacy of capitulation. The Corrupt leaders Club. They blame Colonialism for all the problems we have. There is Canada , Australia who are still colonised but rather successful. So why are we downtrodden? Go back to the first sentence please.